The U.S. military is helping Iraqi forces pushback ISIS at a vital oil refinery. 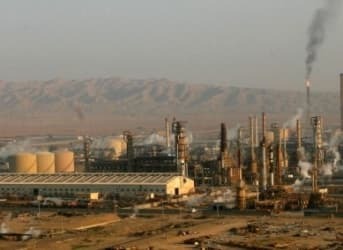 The Baiji refinery is located between Kirkuk and Mosul, and it has been the target of ISIS militants since the extremist group first made major advances last summer. Baiji is Iraq’s largest oil refinery, and as such, is strategically important to the country for revenues and for domestic fuel supplies. The advance of ISIS was largely halted in recent months, as combined attacks from Iran, Iraq, and the United States have taken their toll on the militant group. Aside from the Baiji refinery, Iraq’s oil production has not been affected. In fact, Iraq has managed to increase oil exports in recent months – hitting a record high of 3.08 million barrels per day in April. Still, the Baiji refinery is crucial to Iraq’s future. The loss of control to ISIS would leave the country’s largest refinery in the militant group’s hands. If ISIS decided to sabotage the facility, it would amount to a massive setback for Iraq’s economy.